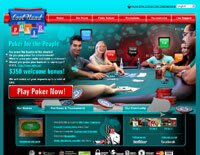 Cool Hand Poker is one of the newest Microgaming sites in online poker. Even though it hasn’t been around that long, the no pressure approach to poker that it advocates has made it popular with the key new poker player demographic. As previously mentioned, Cool Hand Poker is a member of the Microgaming Network (also sometimes known as the Prima Poker Network) and because of that it uses the same software package that all Microgaming sites use. This is an older software package and that is easy to see with the older graphics that it has. Recent patches have made the overall graphical user interface much better and this software has also caught up to competitors in the area of resource efficiency. It’s not the best software out there, but it is good enough to get the job done. There are five major variants offered at Cool Hand Poker and they represent Texas Hold ‘Em, Omaha, Omaha Hi/Lo, Seven Card Stud and Seven Card Stud Hi/Lo. This is the standard offering for any online poker website and it is likely what you will find online on the Microgaming Network on any given day. Texas Hold ‘Em is generally reliable around the clock while the other variants in cash game and tournament formats are really only populated during the peak periods of the day. Cool Hand Poker is for people that want to play poker for their own entertainment and not necessarily for people that are looking to turn pro. As a result, they offer an online poker bonus that is worth 100% up to $350. This is a very good bonus for someone that is just looking to entertain themselves at online poker because it is a bonus that is easy to clear and will add a significant amount to the bankroll of a casual online poker player. Microgaming is not a US-friendly online poker network and that means that US players cannot enjoy the facilities that Cool Hand Poker has to offer. The Cool Hand Poker first line of support is naturally their FAQ. Further support can be gotten either through live chat or through e-mail. Both options are accessible from the support section of their website. Live chat is in instant messaging form and e-mail support is gotten through filling out a form on the website and submitting it for a reply. 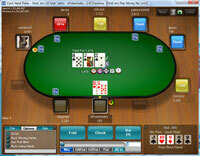 Cool Hand Poker is an interesting experiment in the art of casual online poker. While it is difficult to know how well this site will do in the future, it does seem to be doing well enough right now.